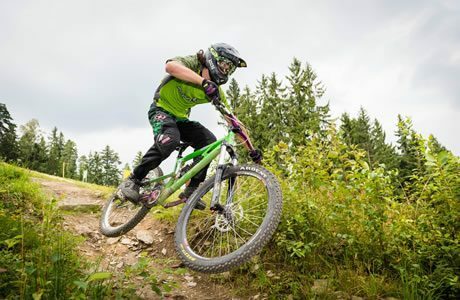 There are 3 tracks totally 8 km long in the Bike park Lipno with the cableway departure station 100 m away from the apartments Lipno Lake Resort. 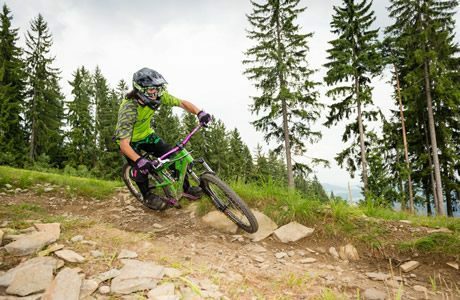 These tracks offer an adventurous and entertaining ride in the wood terrain from the mountain Slupecny vrch to the lower station of the cableway Promenadni, which takes you up back to the mountain top. Amusement in banked curves, benches, terrain waves, stone fields and wooden bridges – these are the symbols of the new Bike park at Lipno. The 1,8 km long blue track and more difficult 1,2 km long red track with number of banked curves and other elements with vertical drop of 180 m are available. 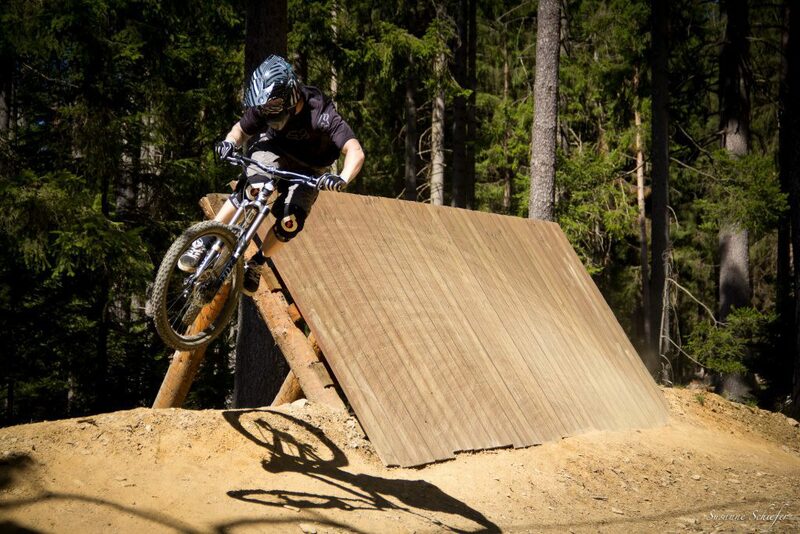 And of course the family Flow Trail Lipno. suitable for children from 8 years, beginners and also advanced bikers!